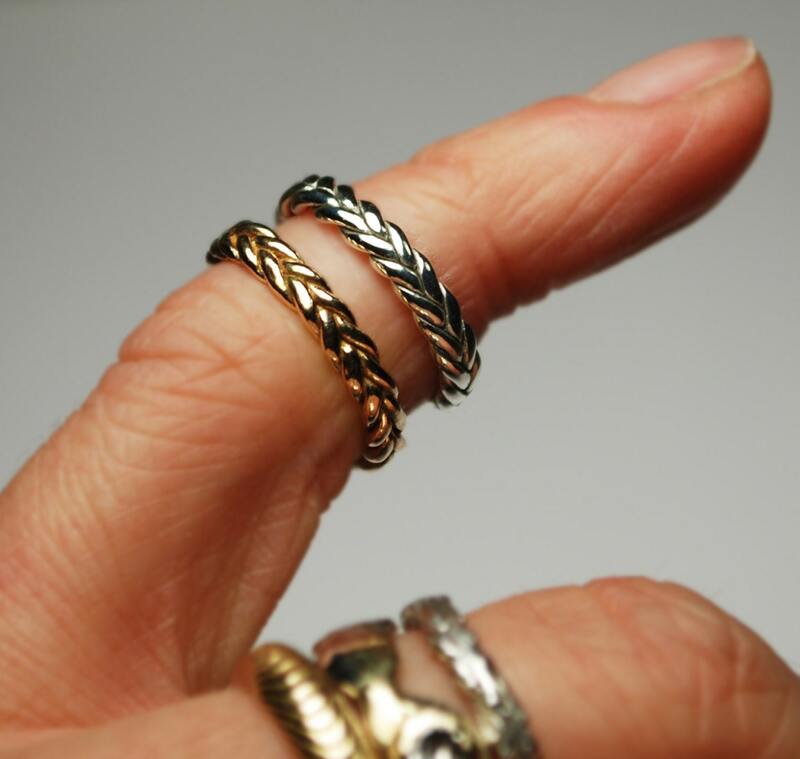 Thin solid 14 k gold braid pinky / knuckle ring. 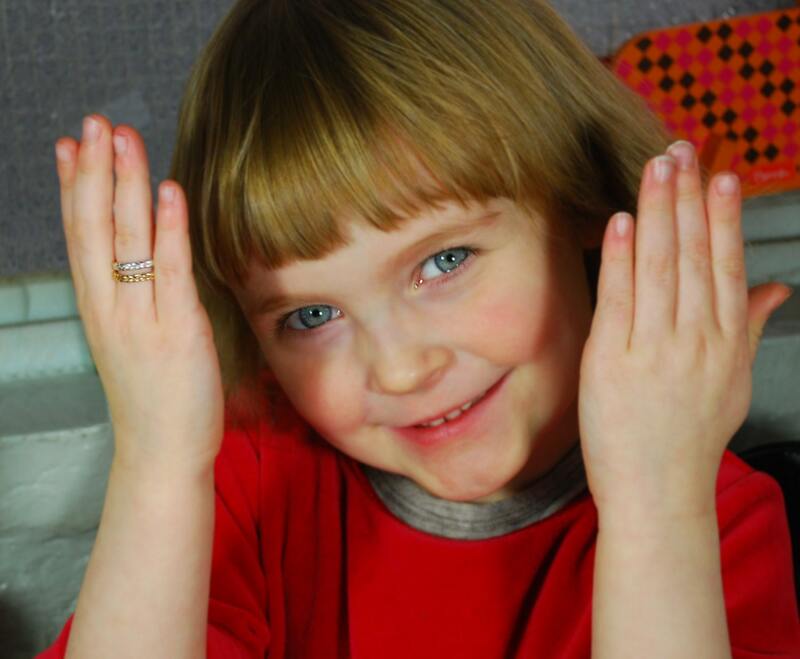 Dainty and beautiful can also be a baby ring. Each ring is approximately 2.7mm wide. Available in high polish or satin finish. As this ring is made to order please allow 2-3 weeks for delivery. 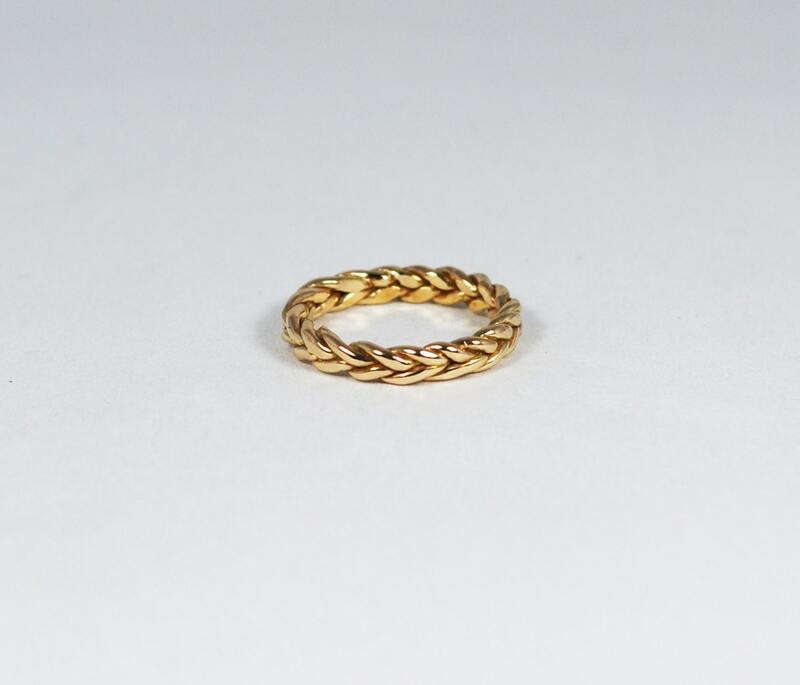 This listing is for 1-14k yellow gold ring. I have very small hands so this worked as stacking ring for me. It's beautifully made and the perfect size and width!